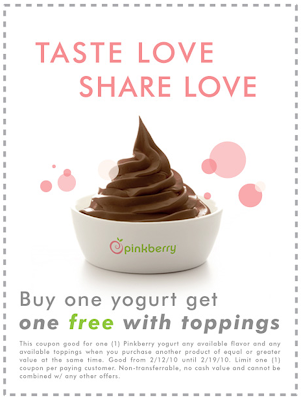 Pinkberry is offering you -- yes, you! -- a buy one get one free coupon that you can use through Friday. With toppings. OMG. Okay, it's way too cold for this.